This 19km trek is New Zealand’s best day one day walk. The track leads up to the saddle between Mt. Ngauruhoe and Mt. Tongariro. 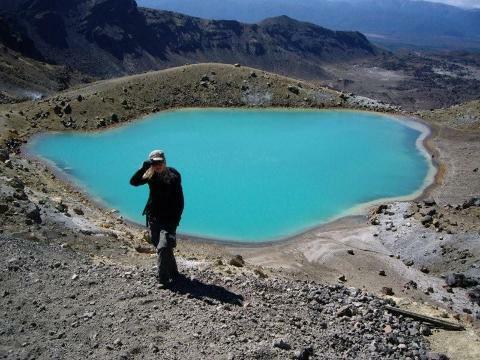 The landscape on Tongariro is peppered with the different coloured and shaped craters that have been active at different periods, scoured volcanic rocks, mountain springs, and brightly coloured emerald lakes. Summer offers a majestic landscape of recent resultant volcanic activity. There is a vast array of colors and textures created from Sulfur, Aluminum, Silica, and many other mineral deposits released from within the Earth’s Crust. In summer this track can be crowded and where possible, we take our clients away from the masses, while making sure that the popular sights are still experienced. Want to avoid the summer crowds? Take a look at our Sunrise Tongariro Crossing Guided Walk which has you on the top of Red Crater watching the sun rise with the peaceful, still, quiet moments of the dawn. as we generally always meet minimum numbers, especially on good weather days. Guide/s, return transfers from Taupo i-Site and the Adrift Tongariro base, lunch (vegetarian and gluten free available on request at time of booking), all equipment required, $40 of clothing and footwear hire (boots $20,clothing $10 per item). We will be closed on Christmas Day. Tour bookings for New Year’s Day will only be offered at a 100% surcharge on the normal tour rate and with a minimum of two pax. Boxing day and January 2nd will incur at 50% surcharge on the normal tour rate, minimum of two pax. A reasonably good level of fitness is required. If you are concerned about your fitness please let your guide know before commencing the walk, as there are options we may be able to offer if your concerns come to fruition. Walking time is about 7 hours including stops. No alpine experience is required. Transfers are with a third party operator. This third party operator will cancel when conditions dictate for their cancellation. Adrift Tongariro guided tours operate regardless of weather. In such times the customer will be required to organise alternate transport. Pick up is from the Taupo i-Site only at 6:20am. 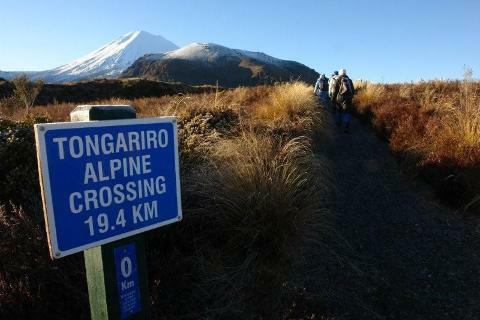 Customers are transported to the start of the Tongariro Crossing to meet Adrift Tongariro. 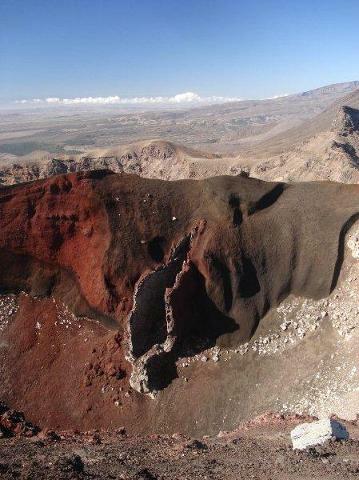 Customers may be required to wait for 30mins for Adrift Tongariro to arrive. Customers may be required to walk fast at the end of the day to meet the last bus at 4:30pm. Should the customer miss the 4:30 bus then they will have will have to pay for a 3rd party (taxi) to pick them up and transport back to Taupo.